Peeps at English Folk Dances, by Violet Alford, 1923. One of a series of books with the words Peeps at in title. Twelve full page illustrations, four in colour. Black and white drawing frontispiece. Lovely little end piece drawing to rear text of The Triumph. 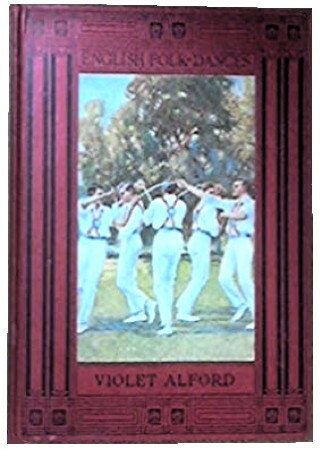 Comprehensive book of traditional dances, e.g., sword dances, morris dances, and country dances.